WIN tickets to “The Great Ostrich Easter Egg Hunt” at Wild Adventures! 96.1 Jamz “Tallahassee BIG Station” wants to send you to “The Great Ostrich Easter Egg Hunt” at Wild Adventures! For your chance to WIN a voucher for a family 4-pack of tickets, listen to “The Joe Bullard Show” April 10th – April 16th and listen out for the cue-to-call-in for your chance to WIN your way IN! On Saturday, April 20, Wild Adventures Theme Park is hosting the 6th Annual Great Ostrich Easter Egg Hunt! During this kids-only event, 20,001 eggs filled with goodies will be hidden throughout the park, including golden eggs with special prizes like tickets and Wild Adventures bucks. The lucky child who finds the real-life painted Ostrich Egg wins a pair of 2019 Season Passes. The Great Ostrich Easter Egg Hunt begins when the park opens at 10 a.m. April 20 and is FREE with your park admission or season pass. 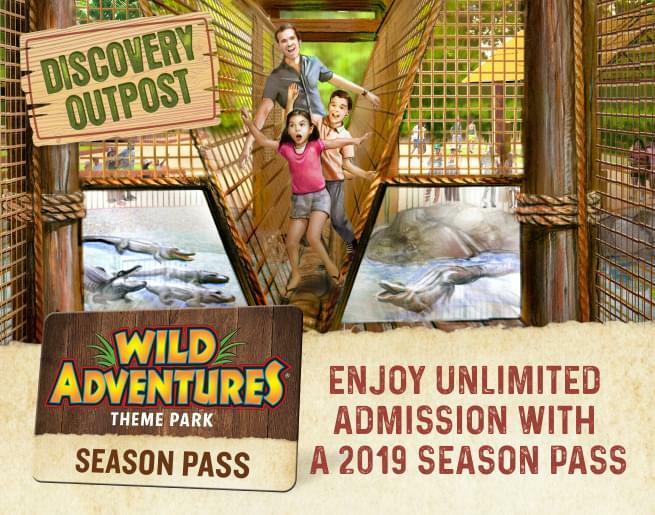 Come early and play all day with the family at the brand-new Discovery Outpost, take a dive at Splash Island Waterpark, and upgrade a general admission ticket to a season pass for as little as $30 before you leave!